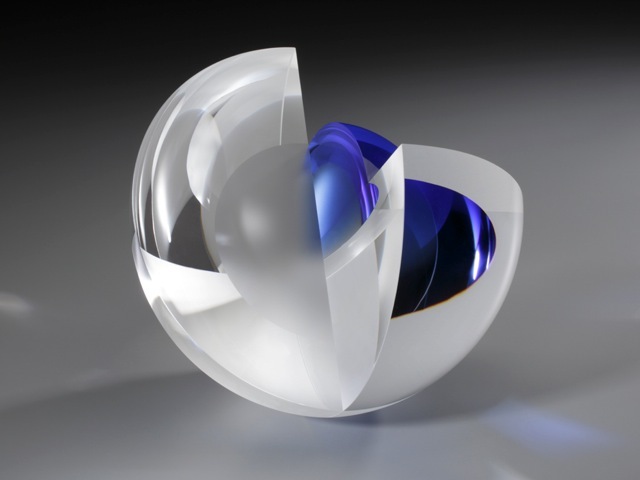 Martin has escaped his native Czechoslovakia one year before the collapse of socialistic regime, to pursue career of glass artist and sculptor. 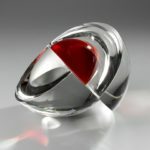 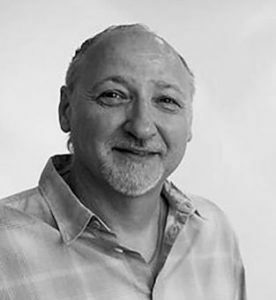 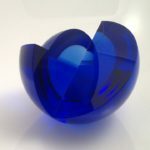 Here in U.S., he was able to utilize his incredible technical skill and knowledge from traditional glassmaking environment. 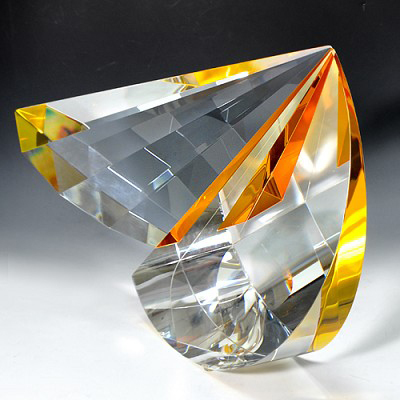 Influenced by architectural studies, Martin’s sculptures are created with several pieces of glass, precisely cut from blocks of crystal, the shapes are joined to create architectonic forms. The results are “monuments to light”. 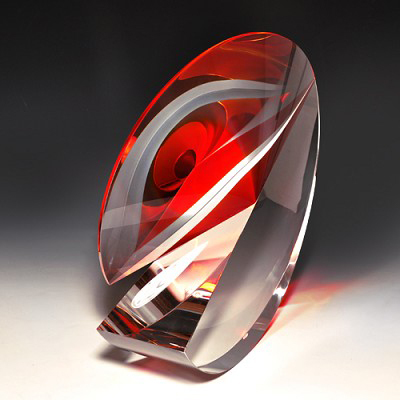 Rosol’s glasswork is impeccable and mysterious. 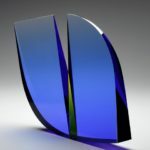 The perfectly aligned and laminated surfaces create shifting flashes of refracted light. 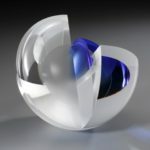 Depending on the angle of view, colors and reflected patterns are either revealed or hidden. 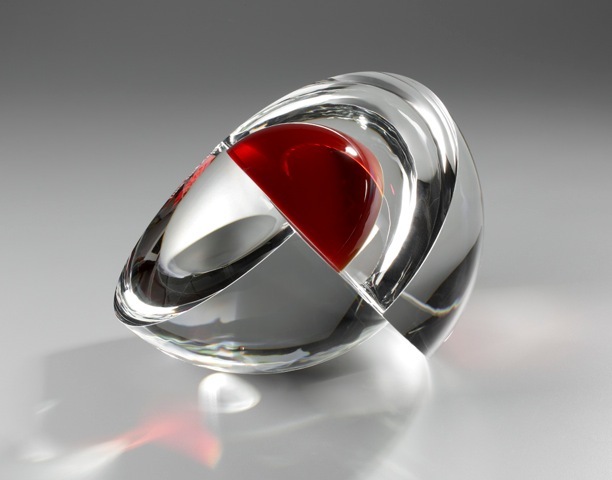 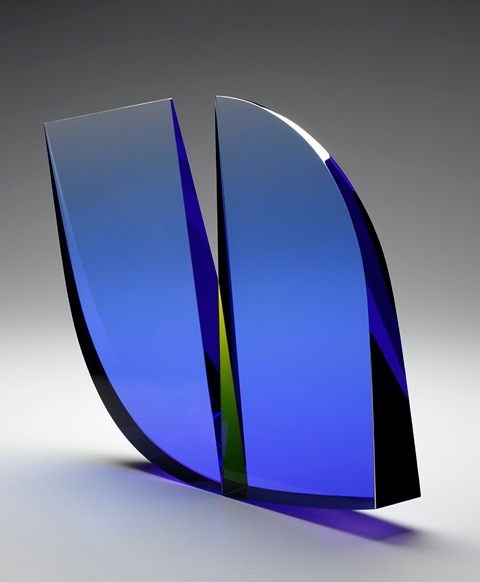 Using clear, sandblasted, and colored optical glass, Rosol’s abstract sculptures recall early constructivist sculpture while maintaining a fresh, contemporary, and highly individualized form. 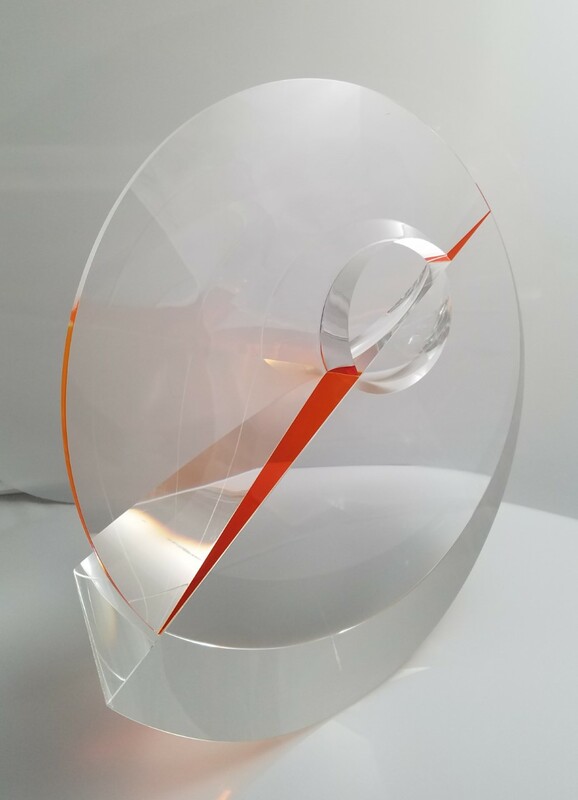 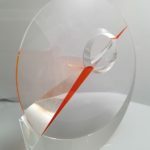 Cut, Constructed and Sandblasted Crystal Glass 9" x 10" x 10"
Cut Polished Laminated Crystal and Optical Glass 12" x 17" x 8"
Cut, Constructed and Sandblasted Crystal Glass 20" x 24" x 3"